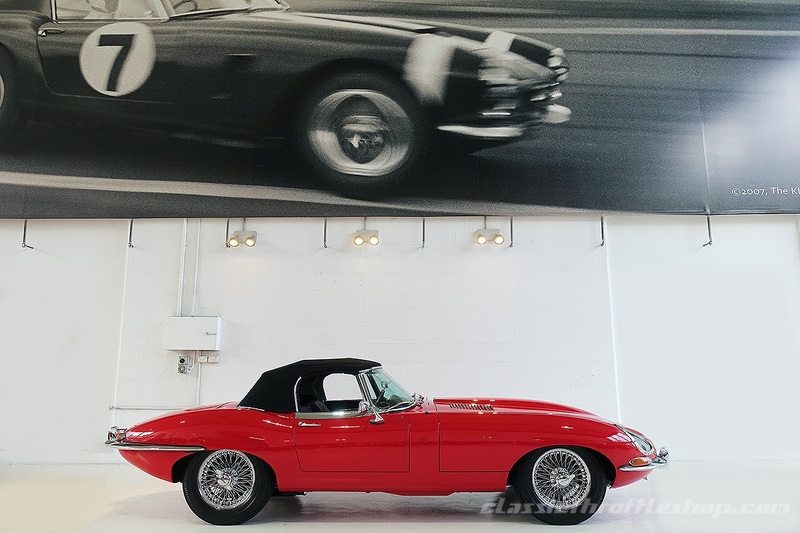 Introduced in 1961 for the Geneva Motor Show, the Jaguar E-Type furthered the sensation of its predecessor, the XK120 by offering astounding performance, beautiful architecture and mouth-watering affordability. 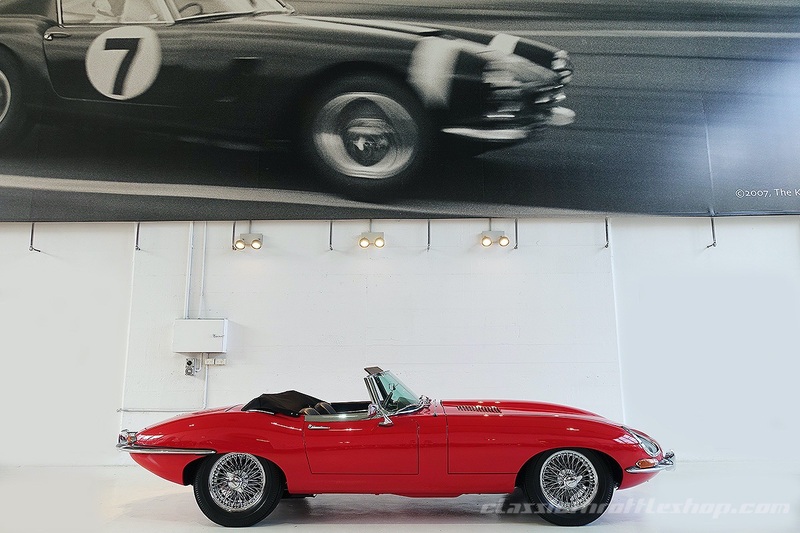 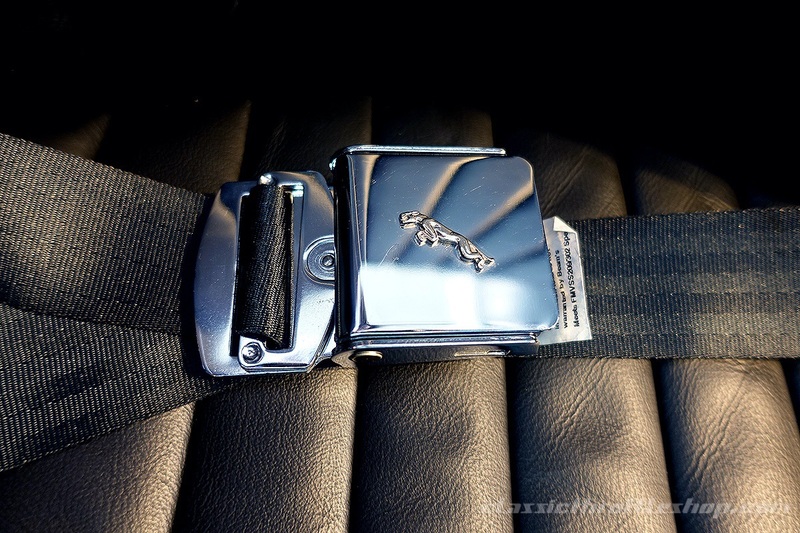 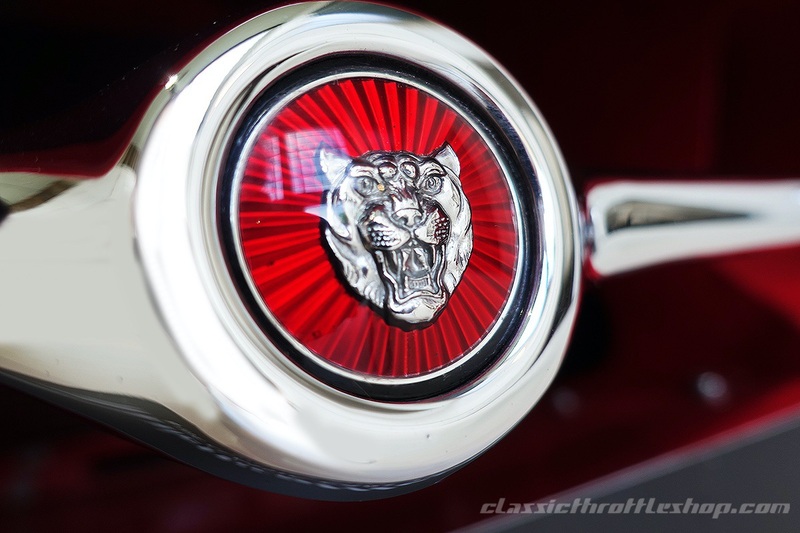 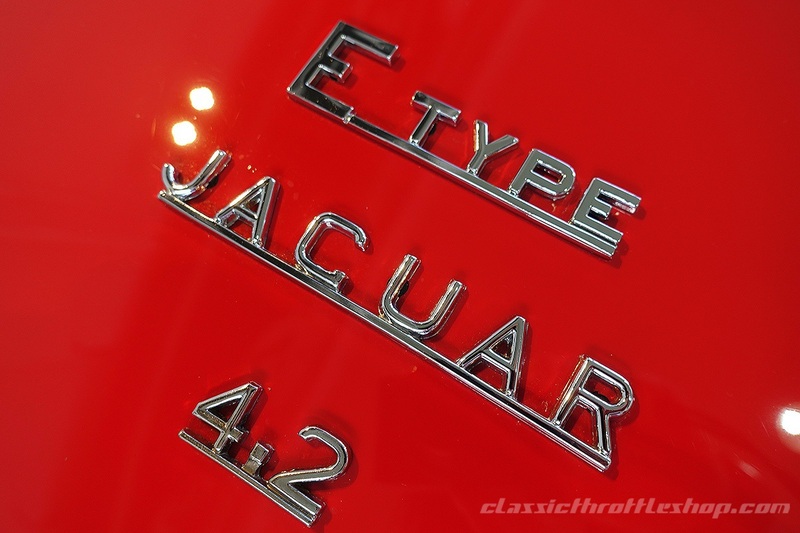 The E-Type revolutionised the sports car market. 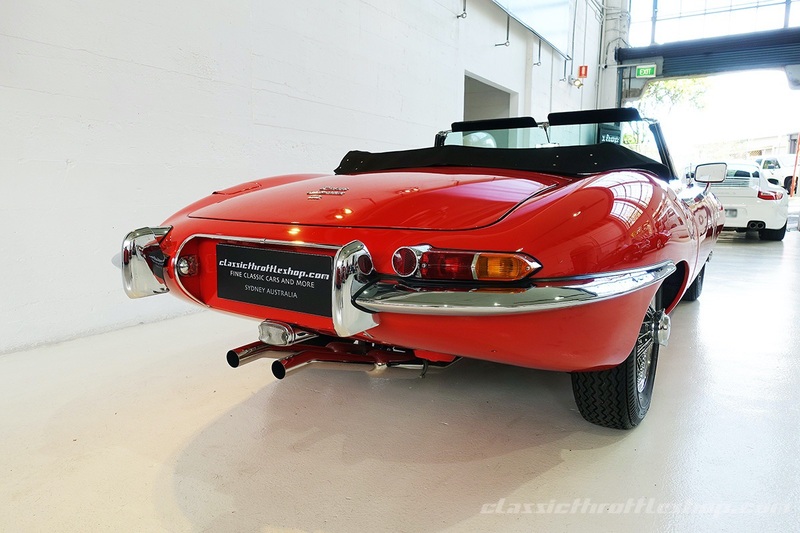 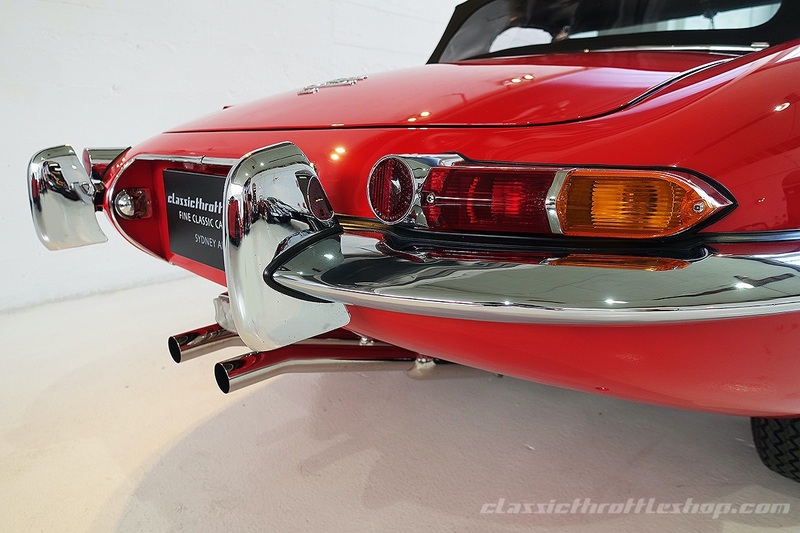 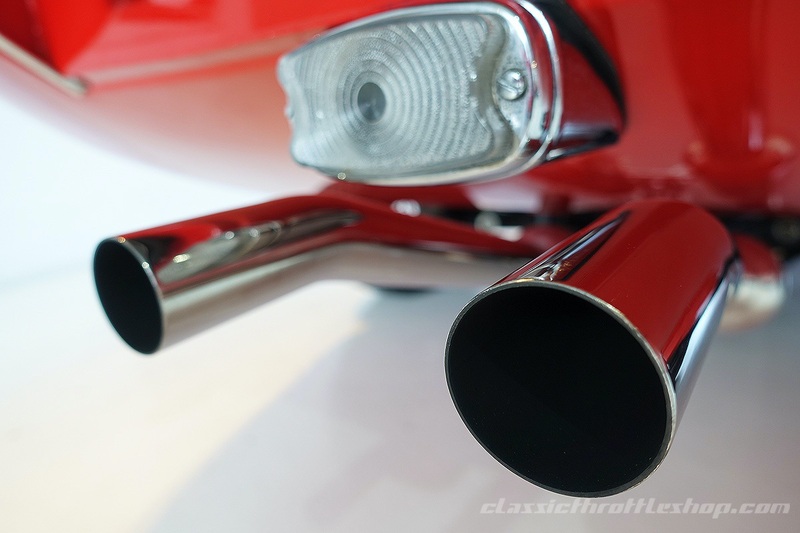 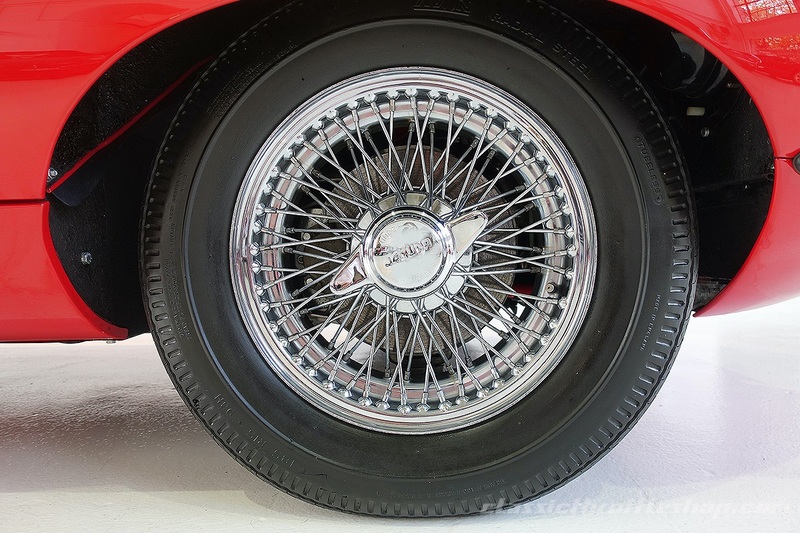 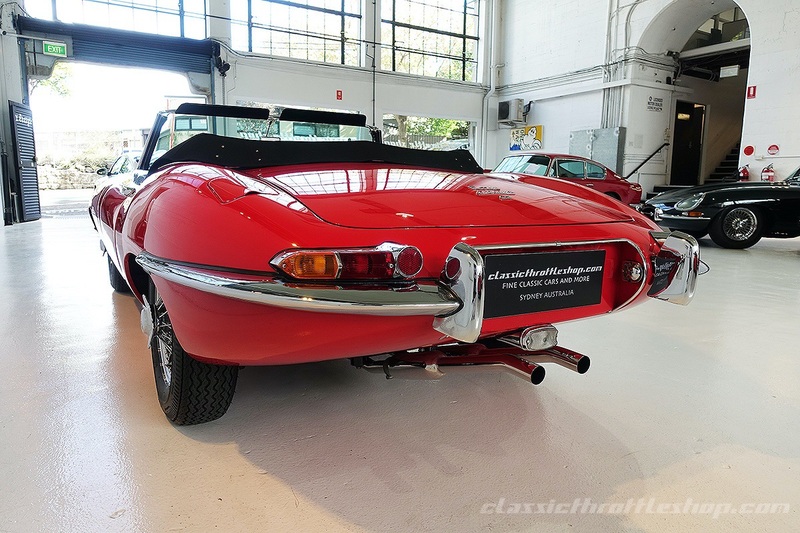 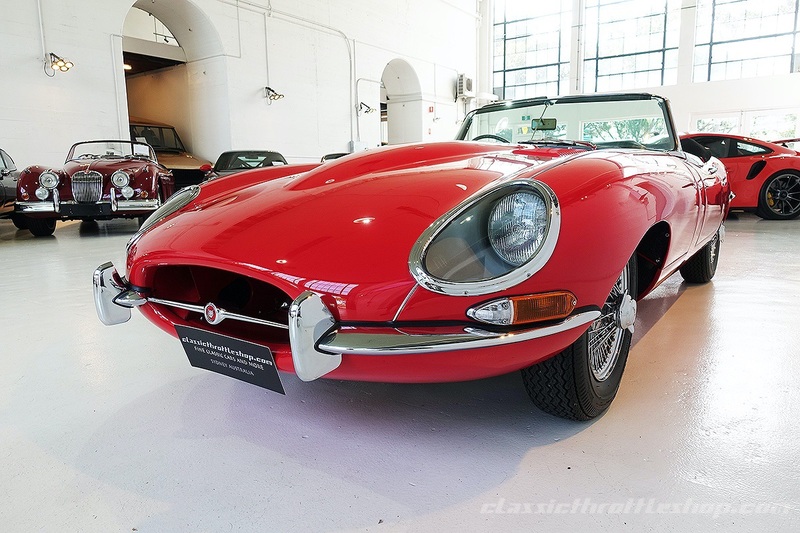 Offering brand-new four-wheel independent suspension that was so well conceived it would be used by Jaguar for over 30 years and a timeless design penned by Malcolm Sayer famously noted as the “most beautiful car ever made”, by Enzo Ferrari. 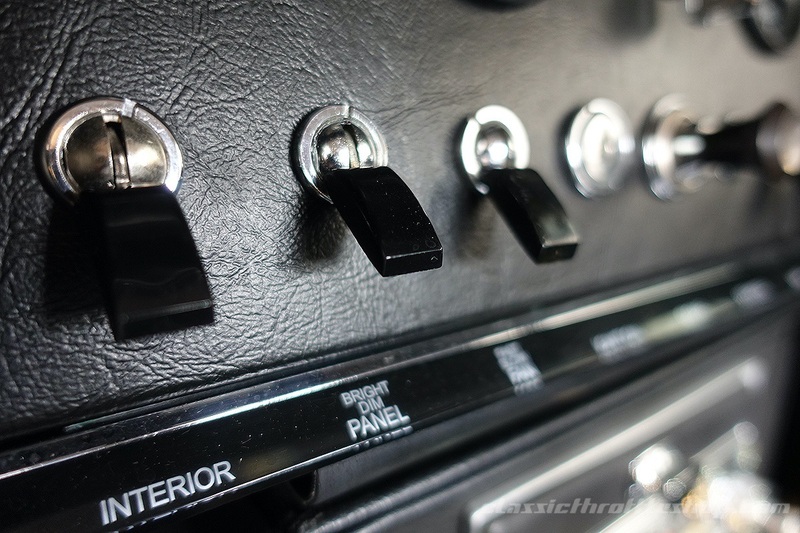 The updated Series 1 4.2 model offered here features the more torquey 4.2-litre engine with three SU carburettors, fully synchronized manual transmission, fully instrumented dashboard with toggle switches, center console with armrest, and taillights mounted high above the bumper line on the rear deck whilst retaining the smaller dimensions and enclosed headlights so popular within the early cars. 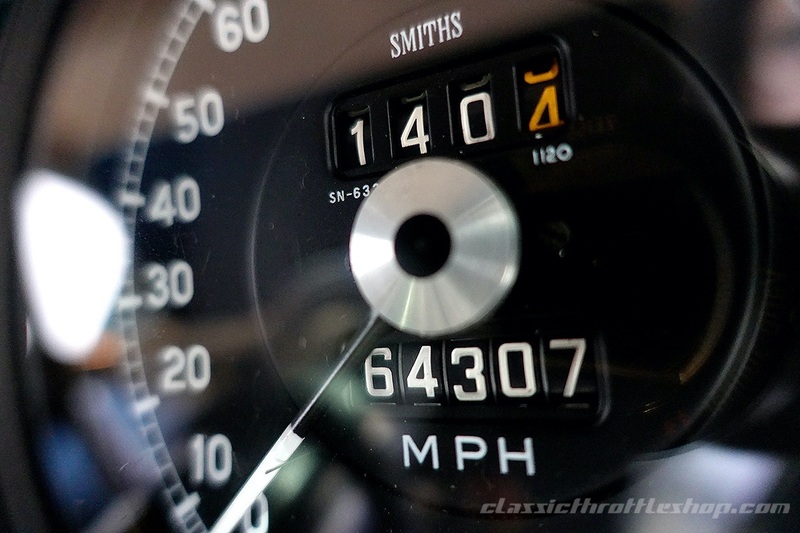 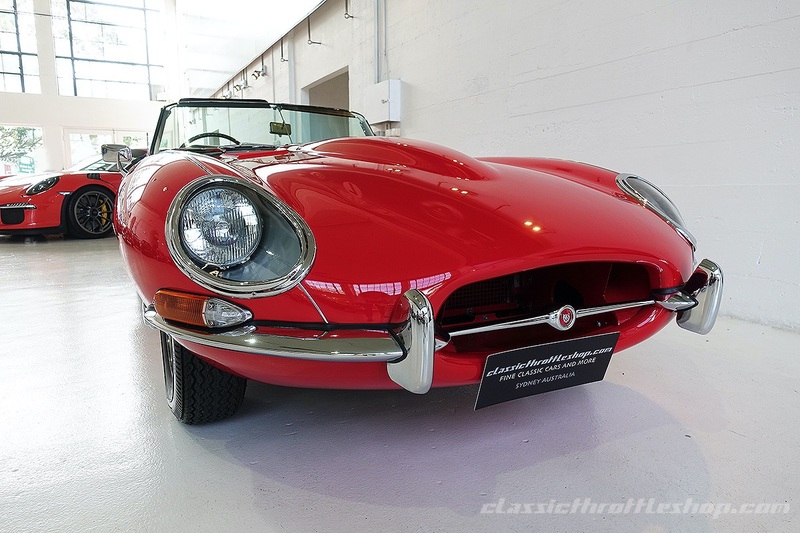 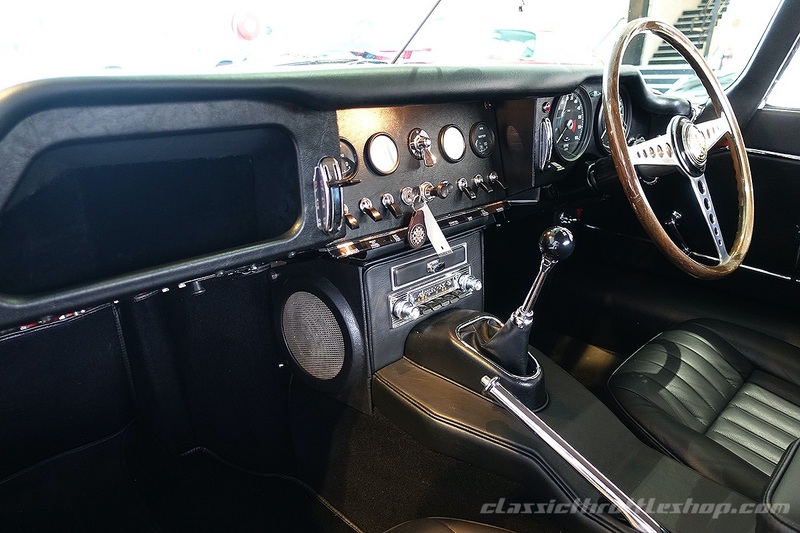 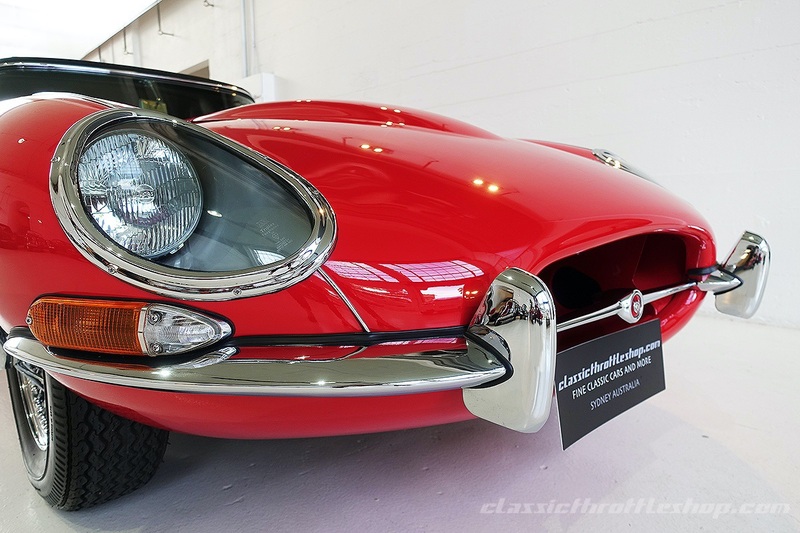 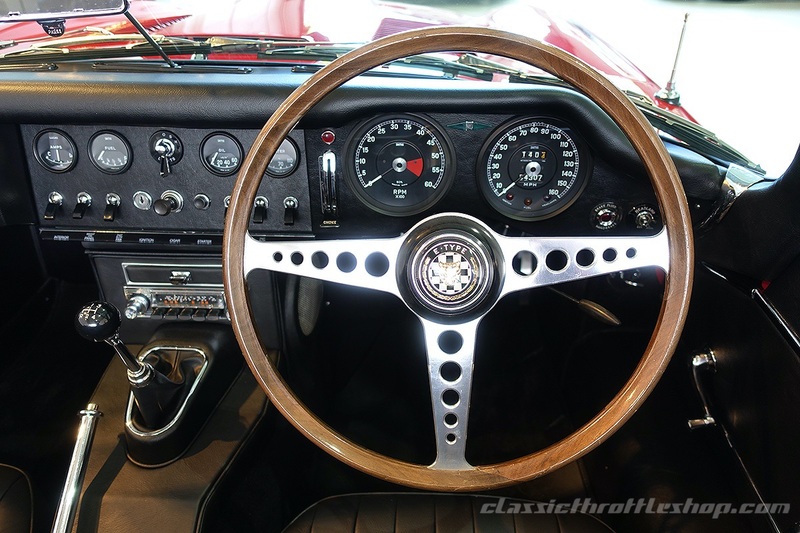 It’s this combination of improved usability with classic styling that today has made this generation of E-Type among the most desirable of all its bretheren. 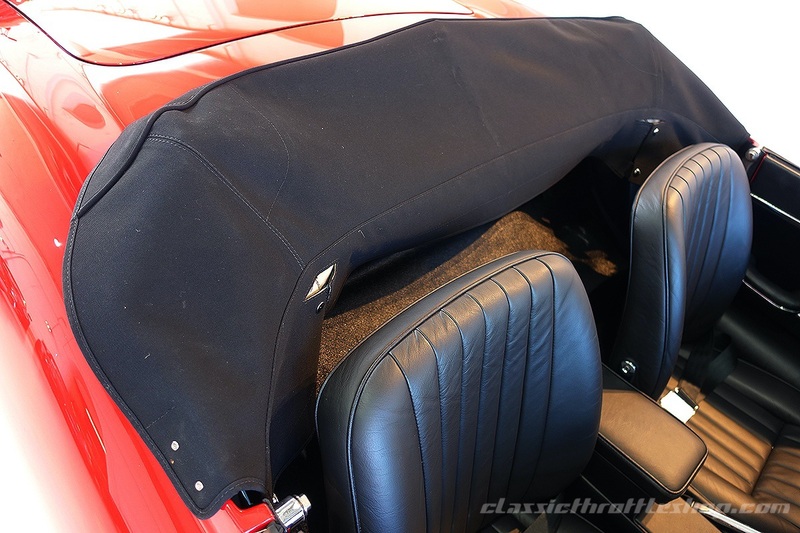 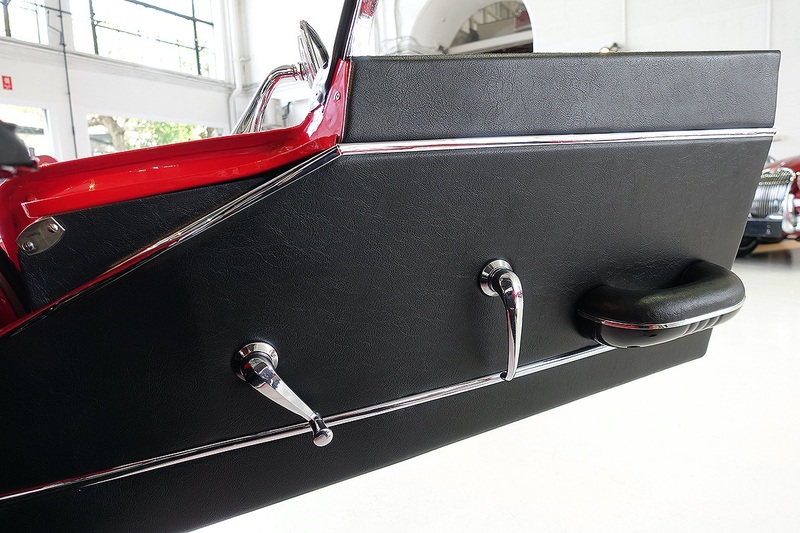 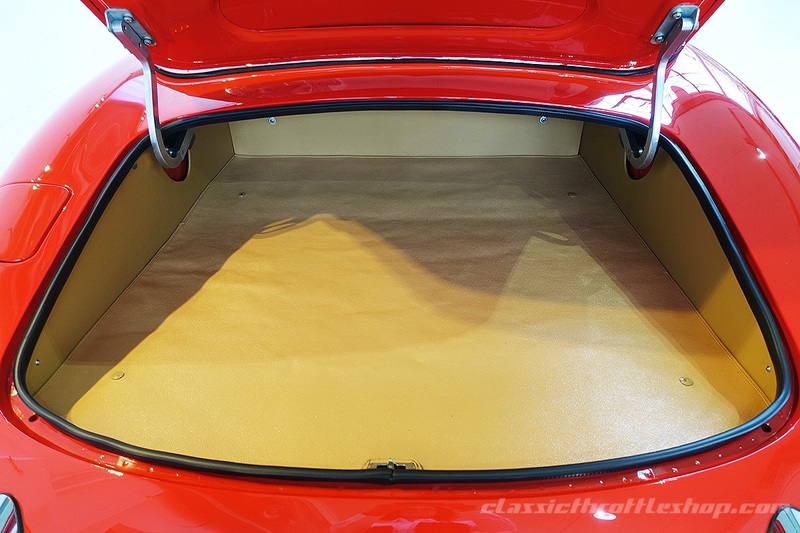 One of the last Series 1 4.2’s to leave the production line, this original right hand drive, UK delivered roadster presents beautifully in Karman Red over Black leather Trim with Black soft top and matching Black hard-top. 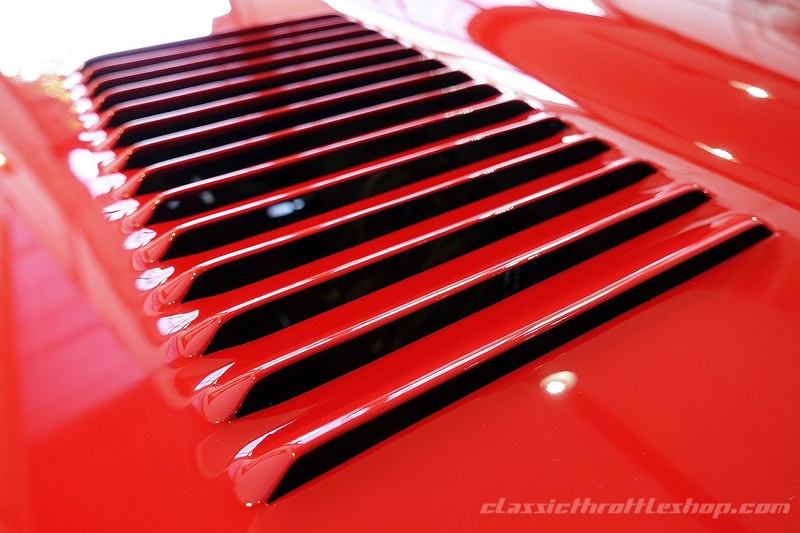 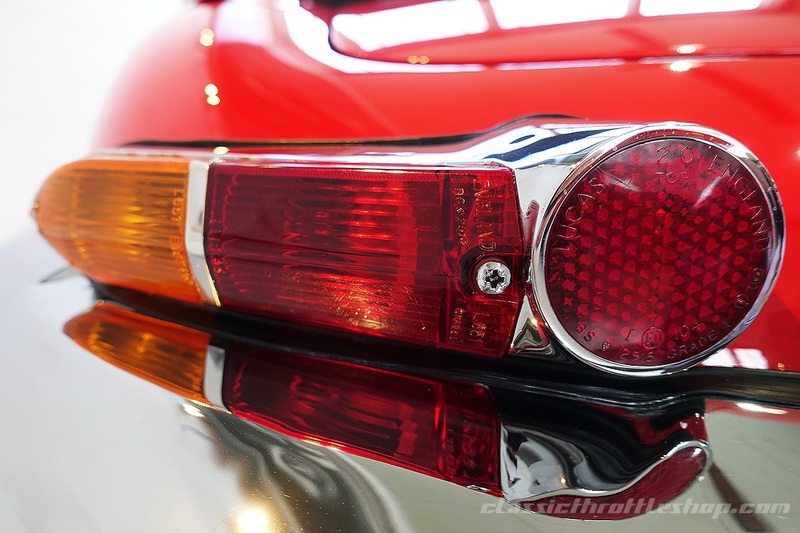 Recently subject to a comprehensive and professional restoration, this car carries an exquisite road presence. 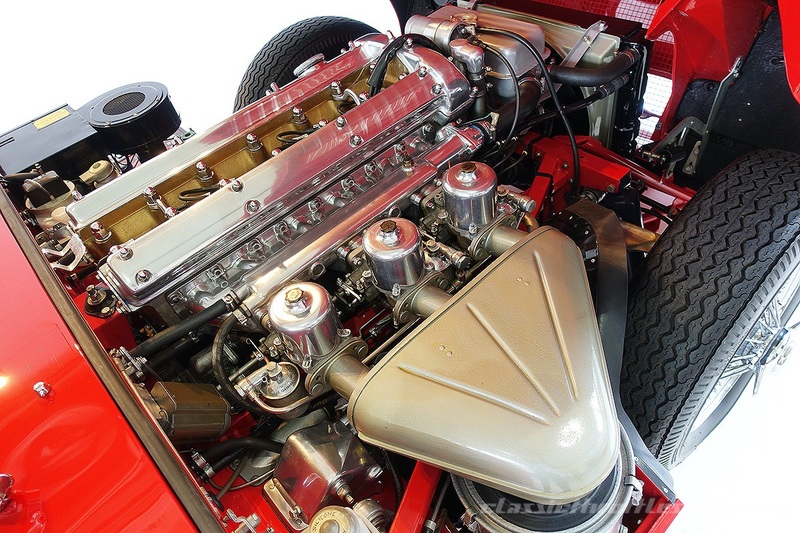 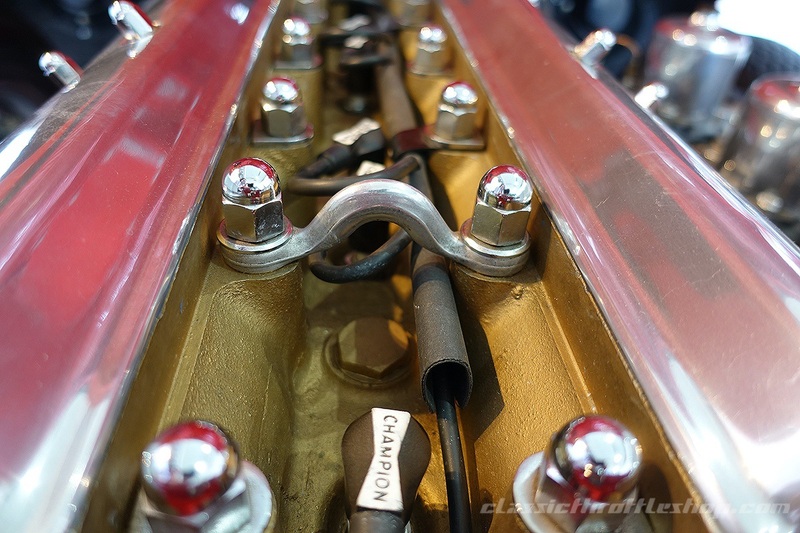 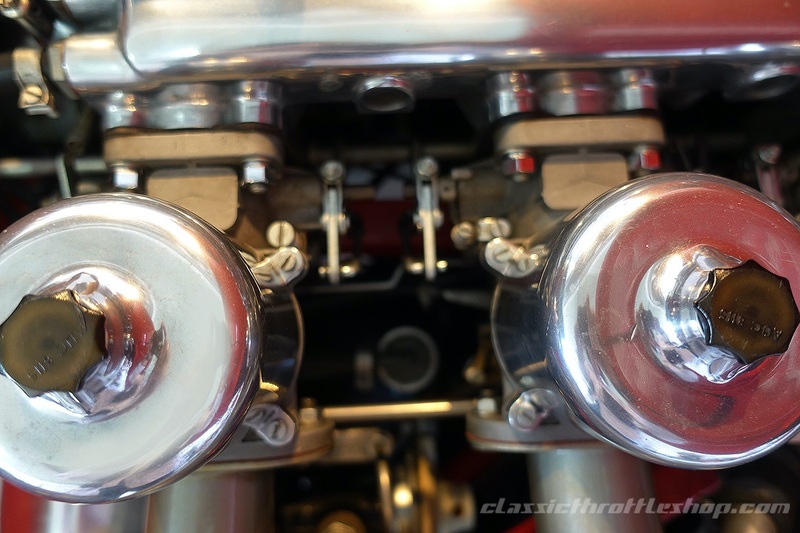 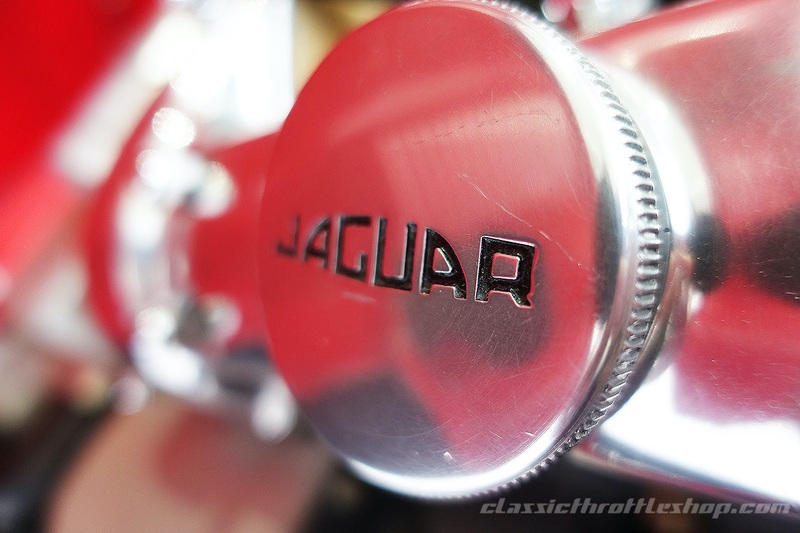 From the brilliant depth of finish to the paintwork, the exacting detail within the engine bay including the correct wiring clips and Lucas fluid bottles, the brand new cloth top to the sparkling wire wheels, this period correct E-Type looks fantastic road. 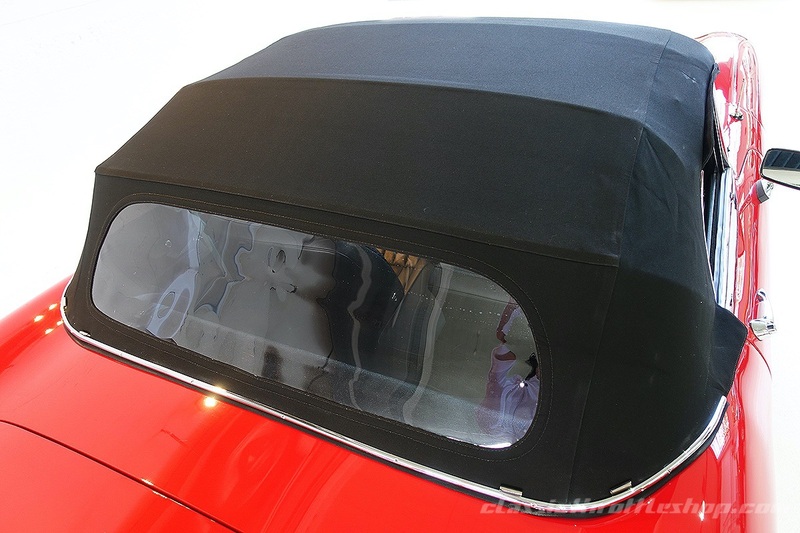 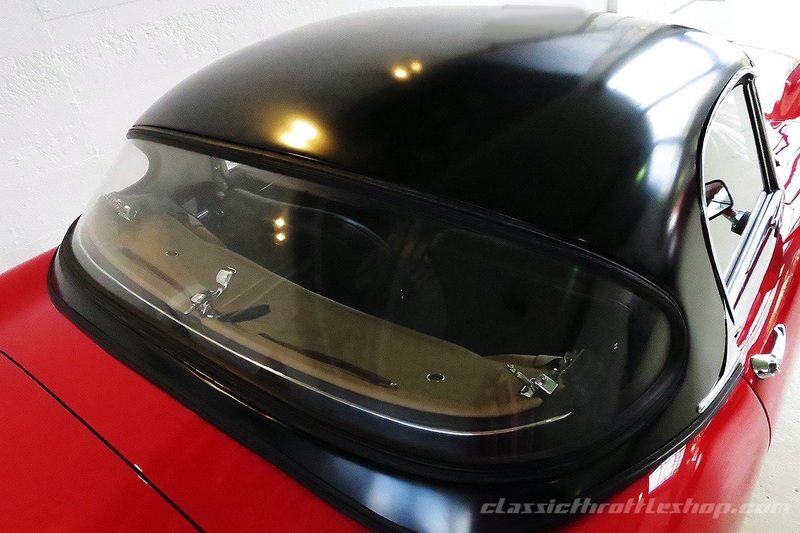 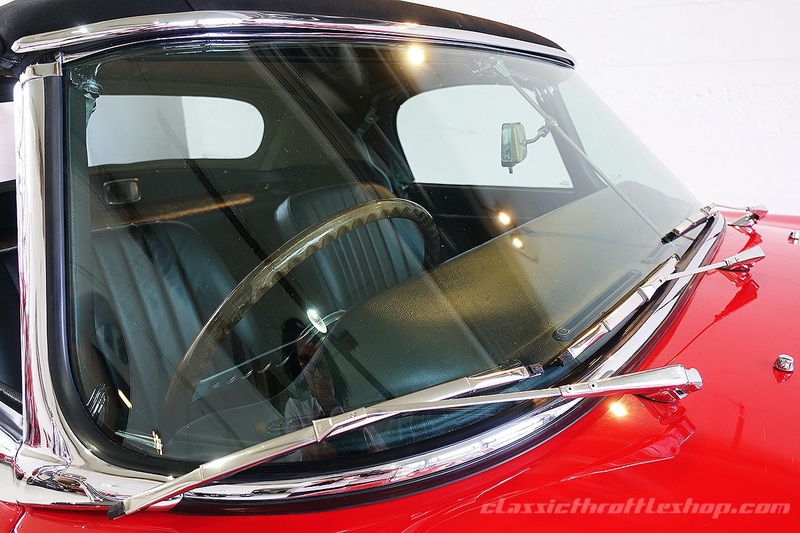 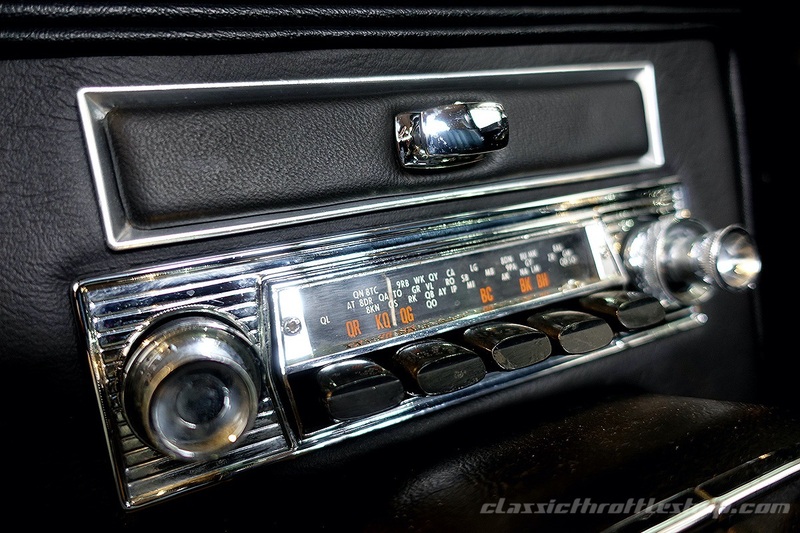 During restoration, the body was stripped to bare metal and today offers a superb panel fit and finish. 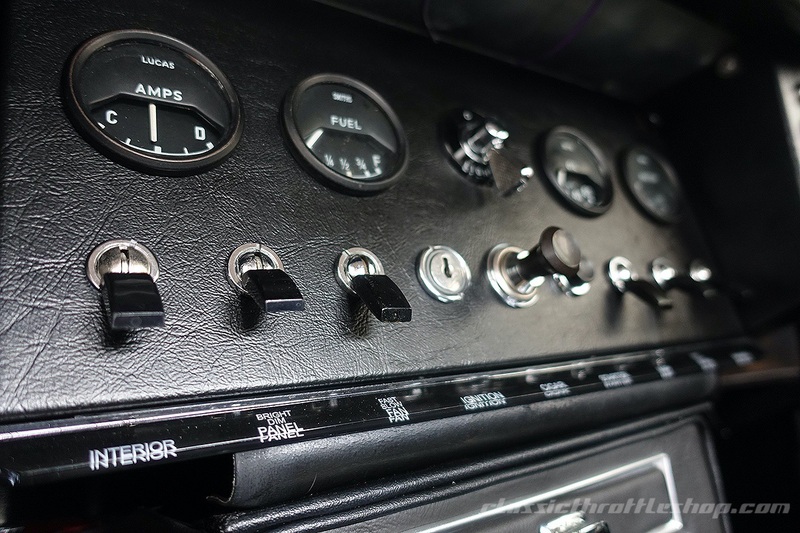 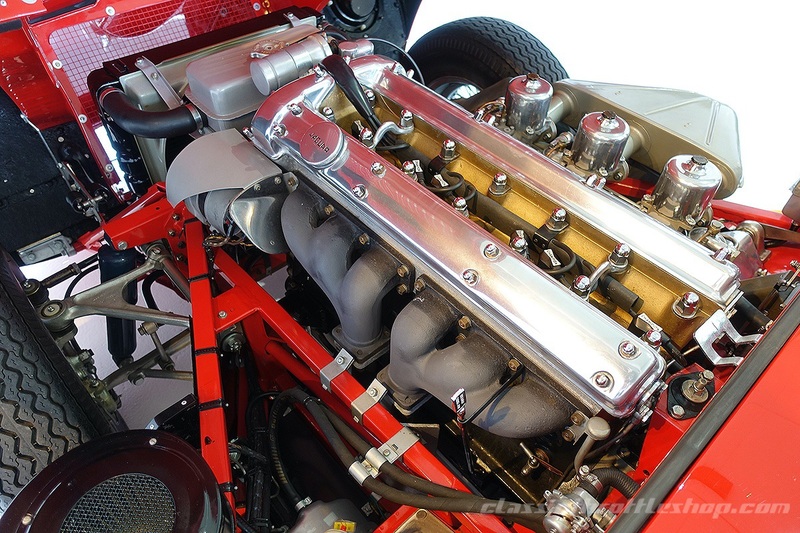 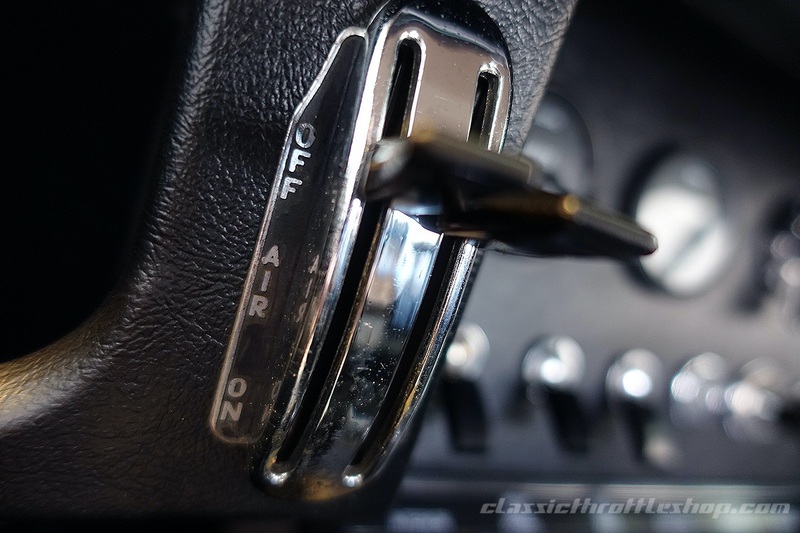 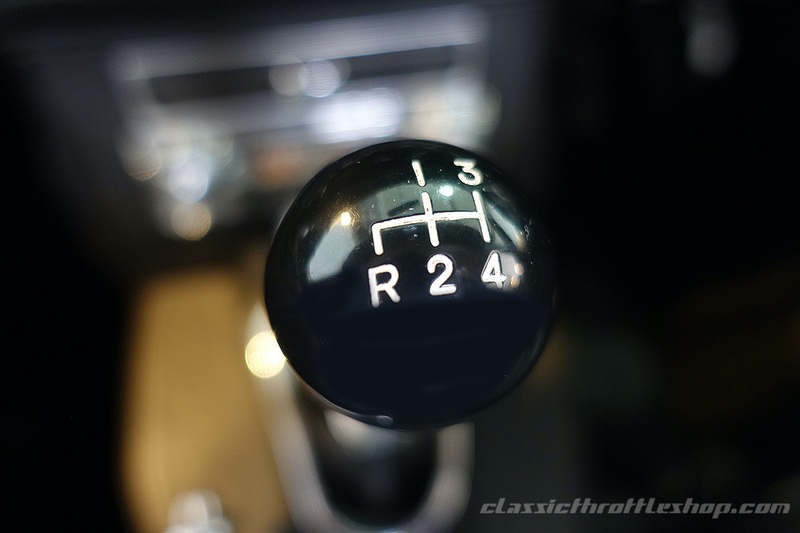 Underneath the bonnet, the engine, transmission, rear end, and steering rack were all re-built, with the hydraulic, cooling, fuel, and electrical systems also having been totally re-conditioned. 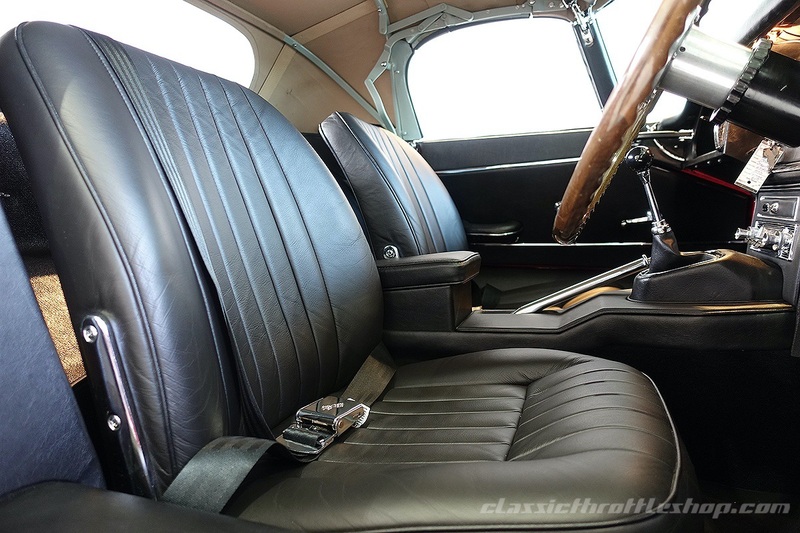 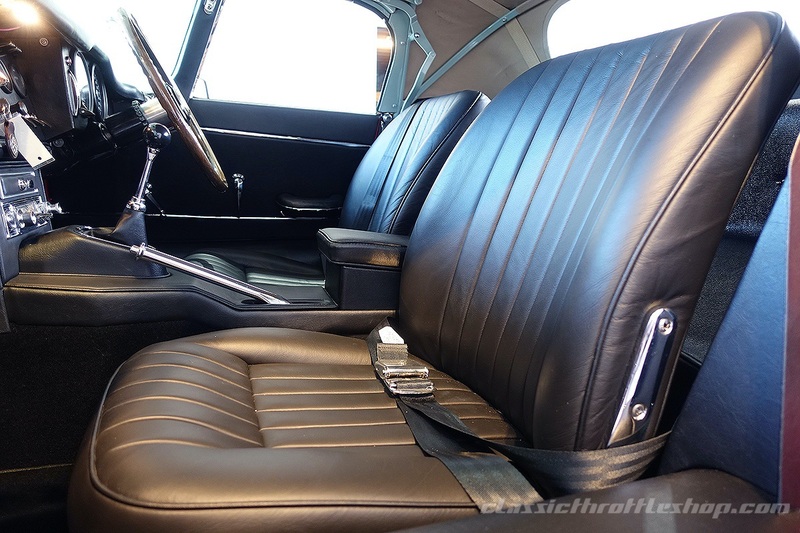 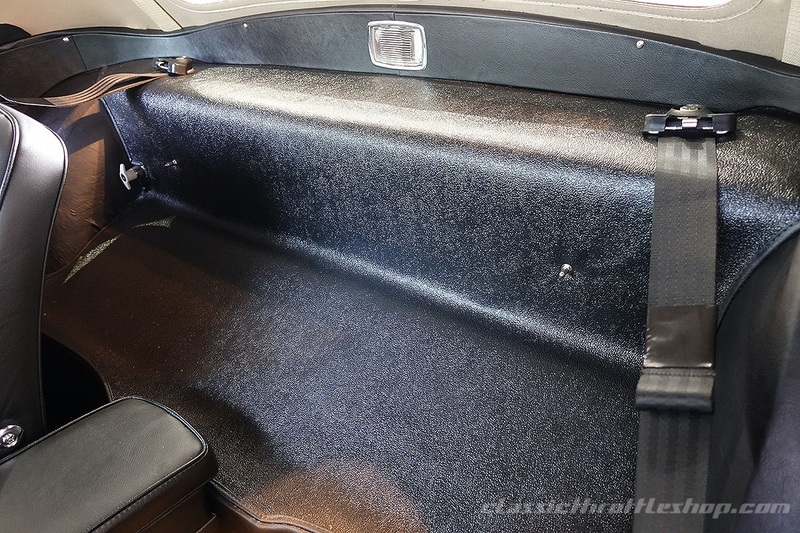 Inside, all dash componentry, right down to the smallest bezel was re-chromed with new-old stock carpets fitted and the seats expertly re-trimmed in Connelly leather. 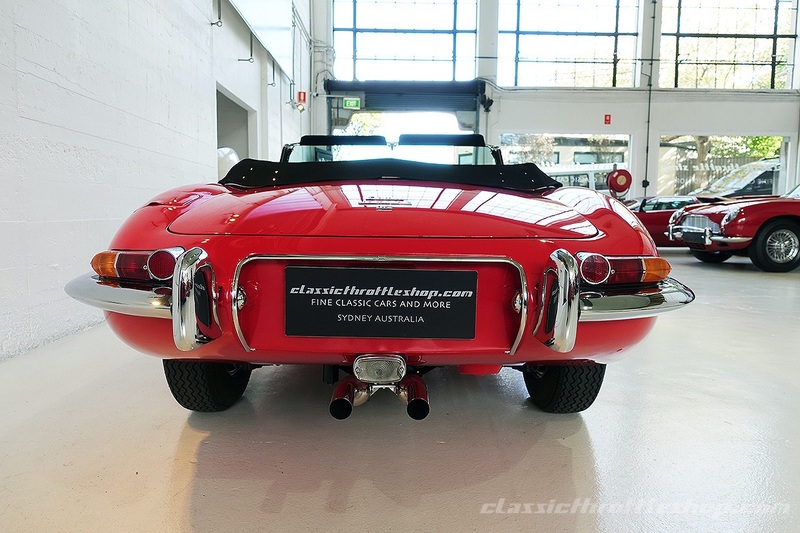 The overall result is nothing short of stunning and on the road this car performs with grace and plenty of pace providing great feedback through the steering and comfortable enough for grand touring. 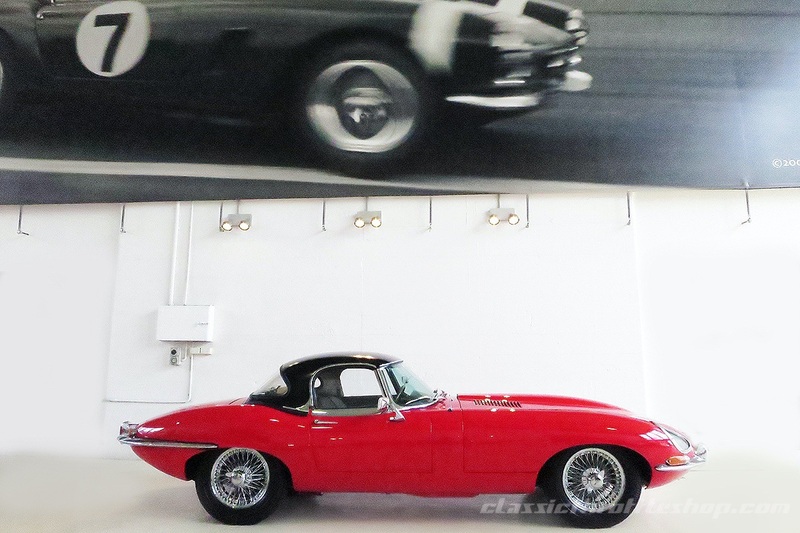 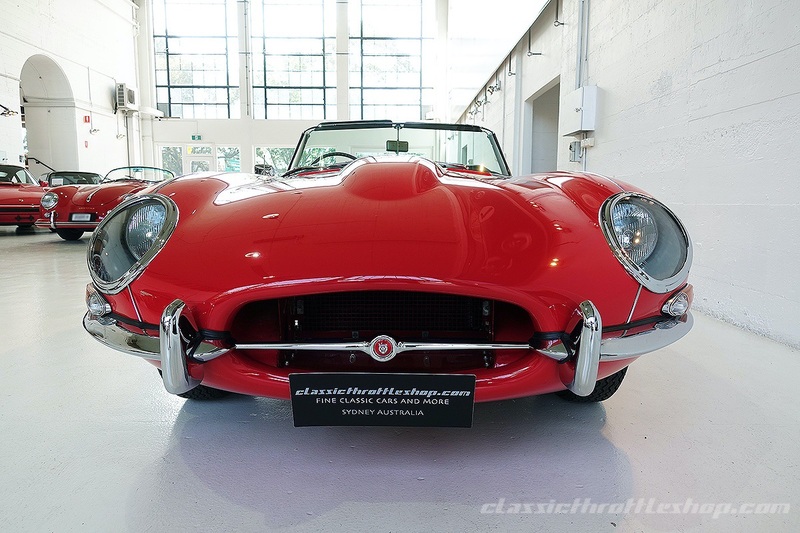 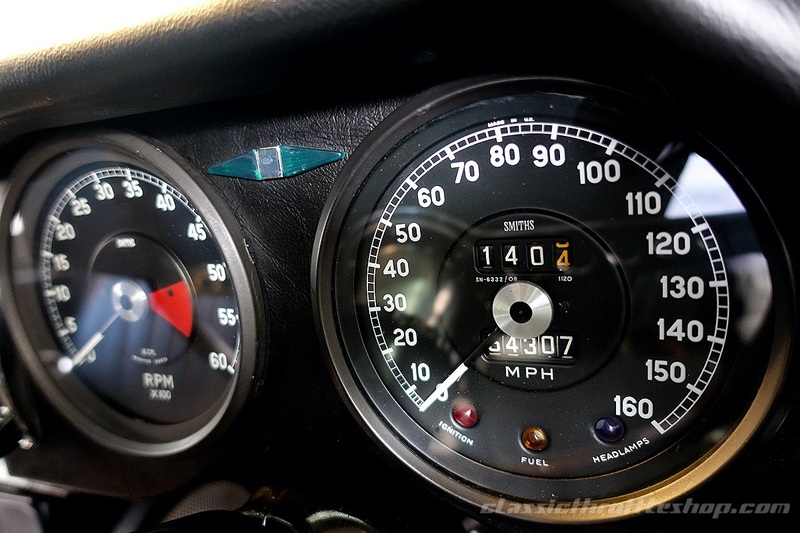 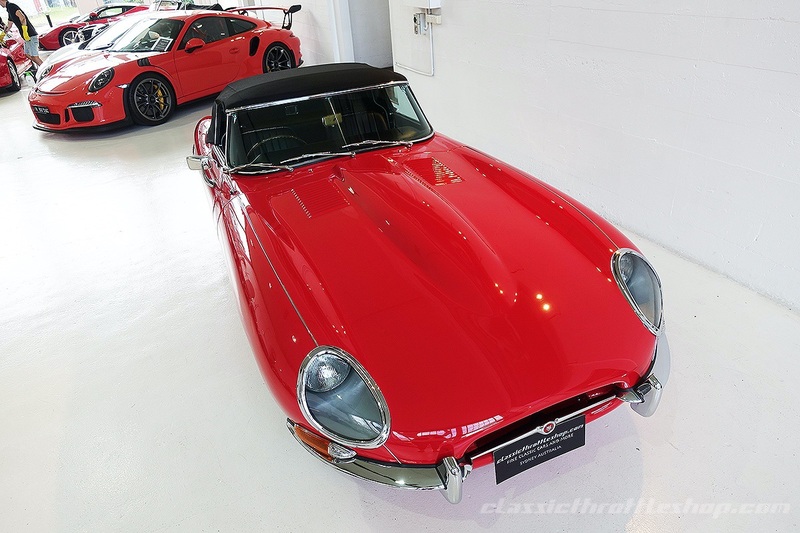 What is a highly collectable and exquisitely presented E-Type makes this car perfectly ready for winding weekend roads. 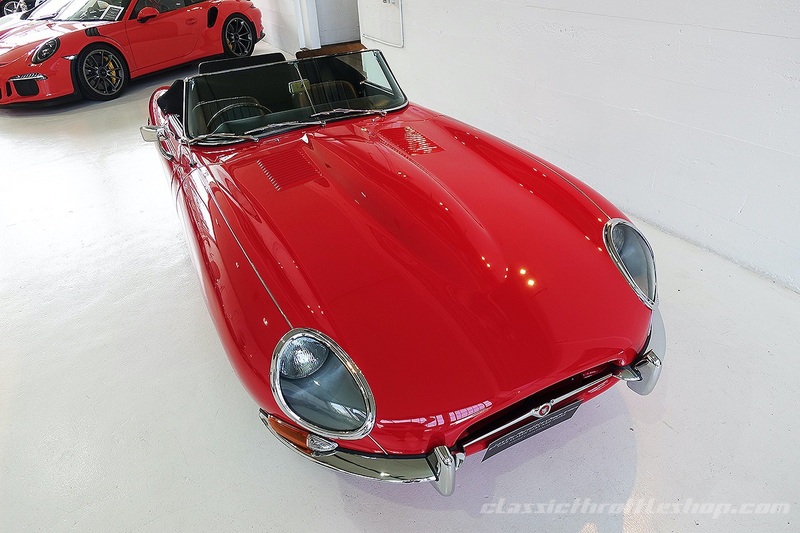 Completing just test mileage since restoration, this roadster would make the perfect addition to any garage or established collection and is not to be missed.